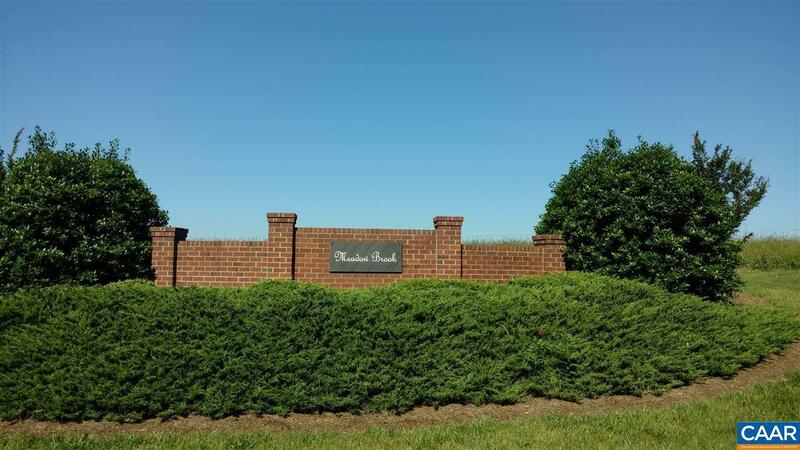 Come and see one of Fluvanna's Best Kept Secrets! Meadow Brook subdivision. 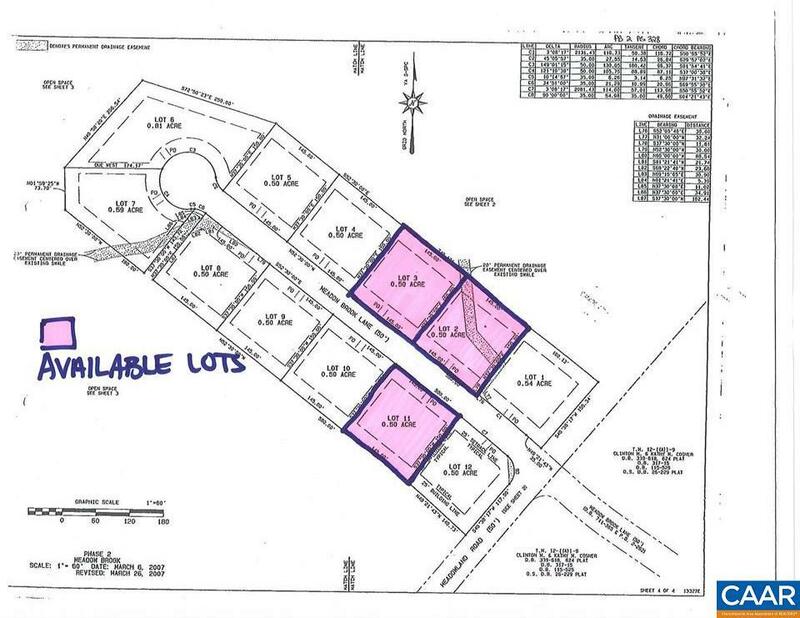 This gorgeous level lot is 1/2 acre with a 20 ft tree lined buffer between each lot for extra privacy. 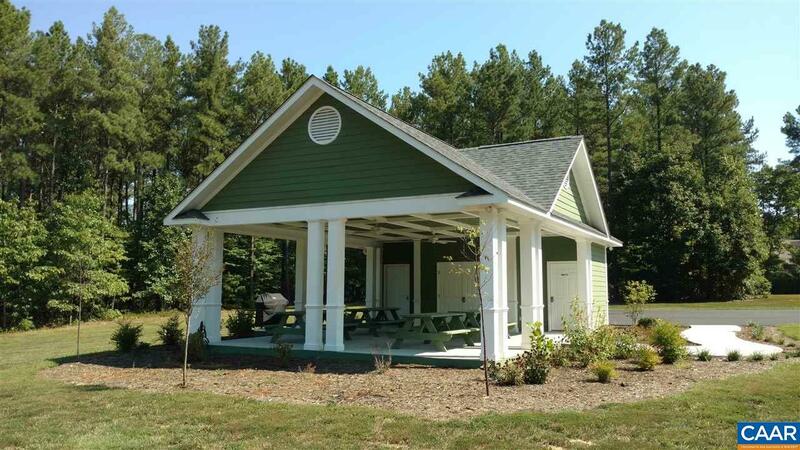 We have a 94 acre common area that wraps around behind it and we offer State Maintained Roads, A Pavilion for Parties and cook outs with a full kitchen, grills and picnic tables. All soil work on file. Buy now and build later or start your dream home today! Lovely neighborhood is located only minutes to Zion Crossroads, Interstate 64 and 250 and close to many shops and restaurants. Zion Crossroads is an up and coming area! Ideal location for commuting into Richmond or Charlottesville. Bring your own builder or ask about one of ours! Photos are of completed homes. 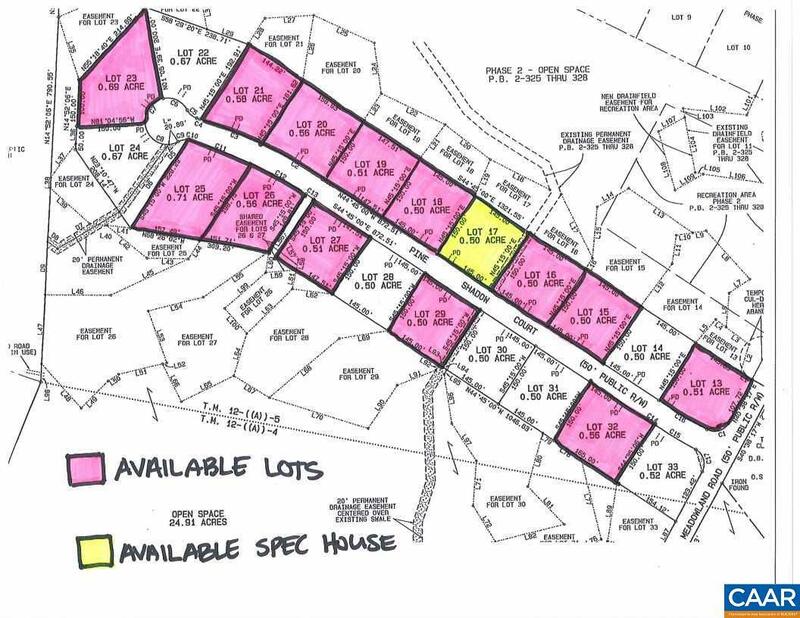 Listing provided courtesy of Roy Wheeler Realty - Zion Crossroads.